This wonderful via ferrata amid the granite rocks of Sellrain, leads up to 2807-meter high Pockkogel peak. Due to its high altitude and the quite low temperatures an excellent physical shape is required. 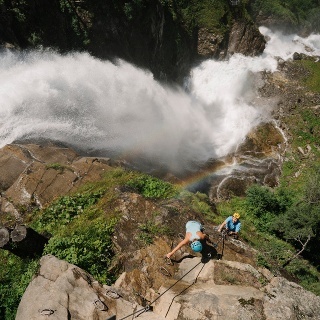 Truly breathtaking panoramic views await climbers at the end of the via ferrata. Pitch length 750 m. 3 – 3.5 hours, both ways (incl. descent) approx. 4.5 – 5 hours. Descent via signposted hiking trail leading down to the ridge in south-western direction. Further on past Finstertaler Stausee water reservoir. At the dam you turn-off to the right towards Dreiseenhütte. From here you walk down to the village of Kühtai. 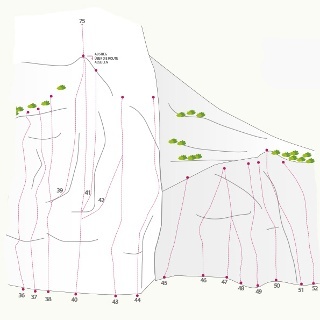 Equipment: helmet, climbing harness and complete via ferrata set, via ferrata gloves, appropriate shoes, hiking poles for the descent (optional). The first section features already a very difficult part graded C+. 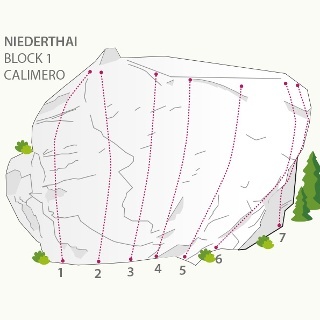 Most parts of the second section are graded D. Please note that there are less step ladders but many natural foot and hand holds in the rock. Especially the last climbing efforts towards the summit and the northern wall are the undisputed highlight of this climbing tour. In Oetz you leave the roundabout in direction Ochsengarten/Kühtai. After approx. 30 minutes you reach Drei-Seen chair lift in Kühtai. 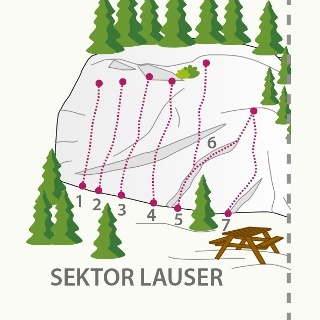 Take the lift and follow the signposts in direction Gaiskogl/ Klettersteig (via ferrata). 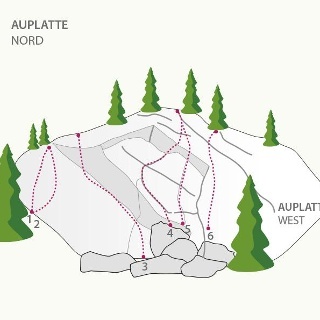 Continue along the red marked route in the foothills of Gaiskogl ridge, crossing the gravel field, until you reach the access point (20 minutes).